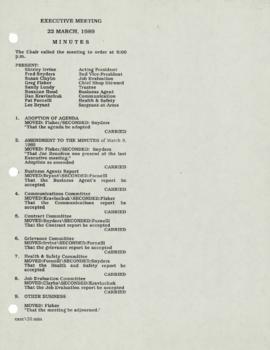 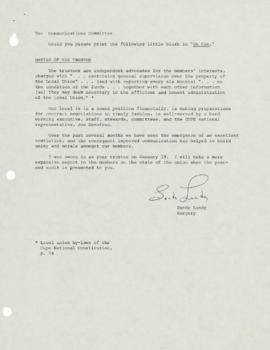 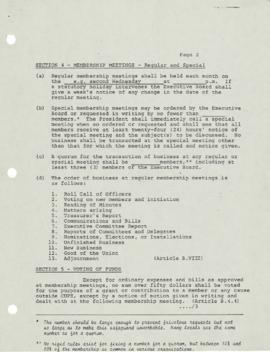 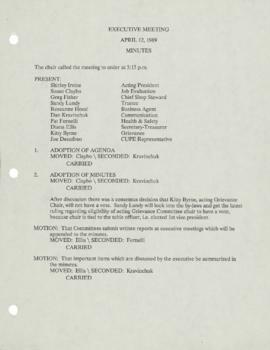 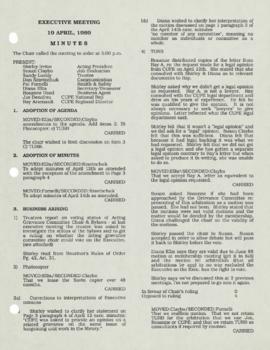 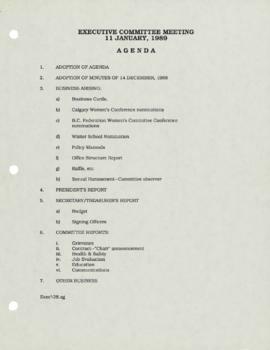 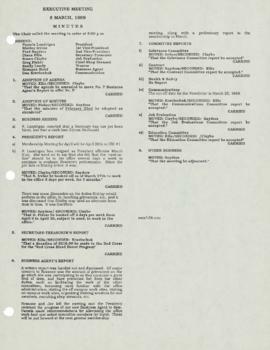 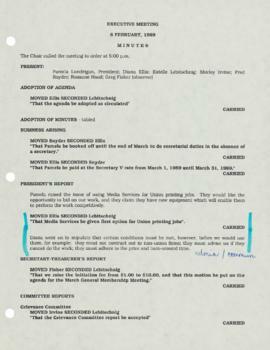 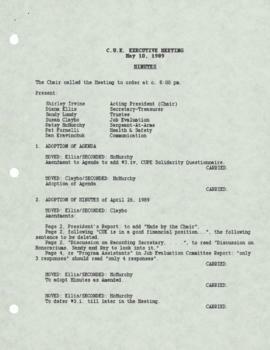 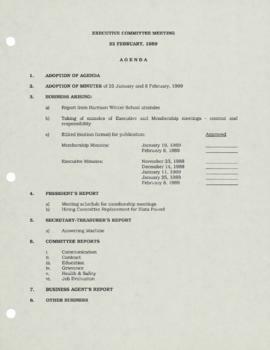 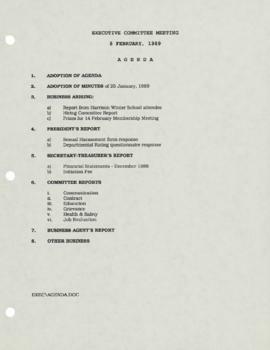 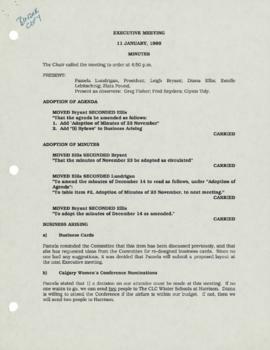 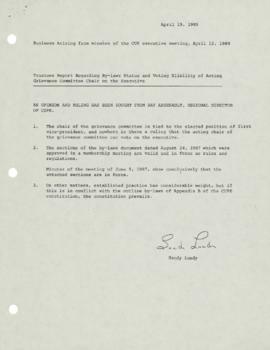 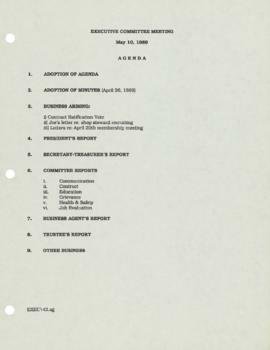 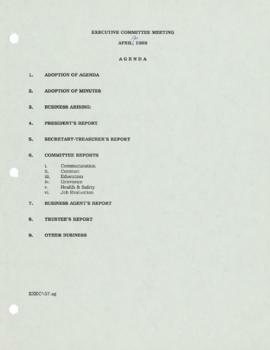 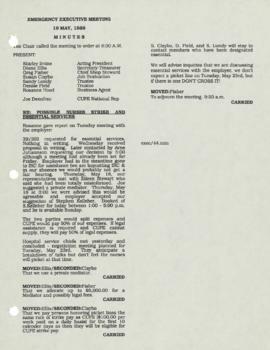 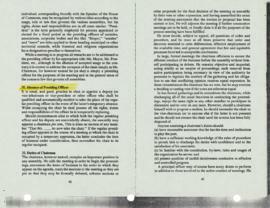 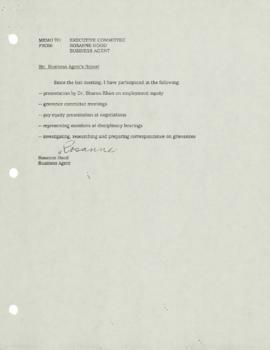 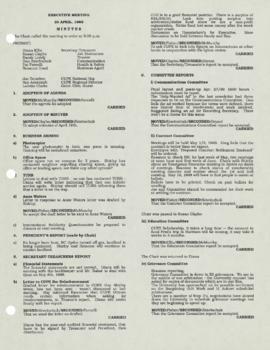 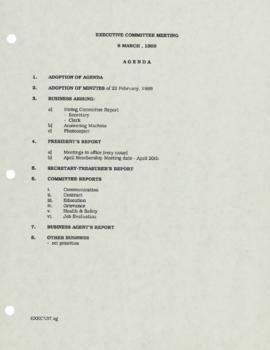 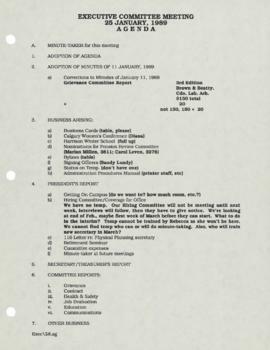 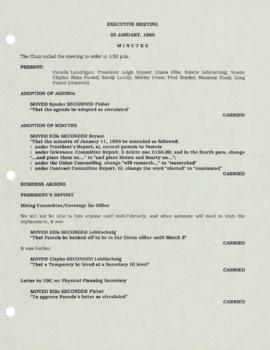 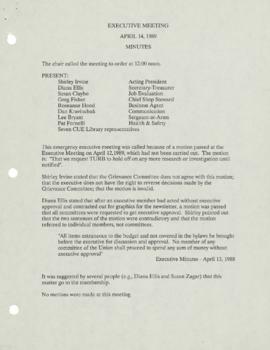 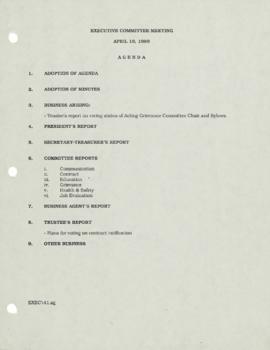 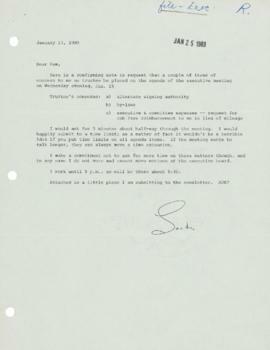 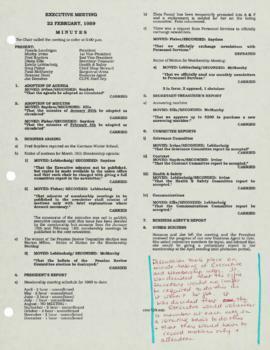 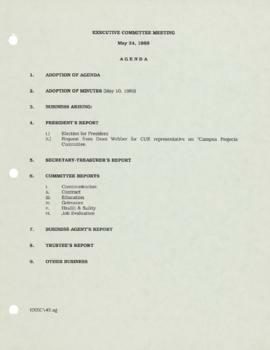 File contains meeting minutes and other records dated May 24, 1989 to January 11, 1989. 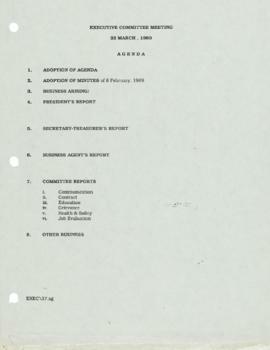 Topics discussed include executive elections, contracts, recruiting, financial reports, communications, grievances, nurses strike, office business, health and safety, job evaluation, interactions with the Trade Union Research Bureau (TURB), hiring, information about the sexual harrassment committee, staffing changes, and budgets. 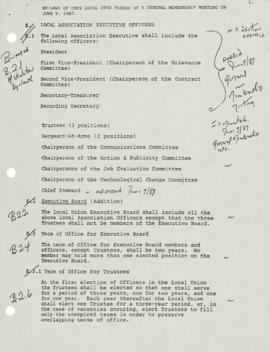 File also contains a photocopied page of executive duties and procedures, memos, executive position descriptions and policies, agendas, and correspondence.